A major part of our business here at FGCI is dedicated to solvents. Solvents are used for many things, but especially for cleanup. When you finish a project, you want to be able to clean up your mess, right? Everything from cleaning spray guns and brushes to wiping down the project afterwards, solvents are an important part of your project process. When you start a project, you want to make sure you pick up something to clean up, but which one works best? Let’s look! Acetone is a necessity for cleaning up polyester resins and gelcoats. Acetone is also a very important step in treating your part before spraying gelcoat, as it helps get any and all oils off the part to avoid blemishes. This is probably the best overall cleaner. Lacquer Thinner is a must for removing oils. You will see a lot of mechanics use this for parts cleaning and washing as it is great for removing a lot of the grease left by engines. You will also see this product offered in different degrees of purity, from the wash-grade to the medium to the high-grade. Our Isopropyl Alcohol is 99% water free. This product is great for cleaning epoxy, especially for wiping down a new epoxy bar-top. 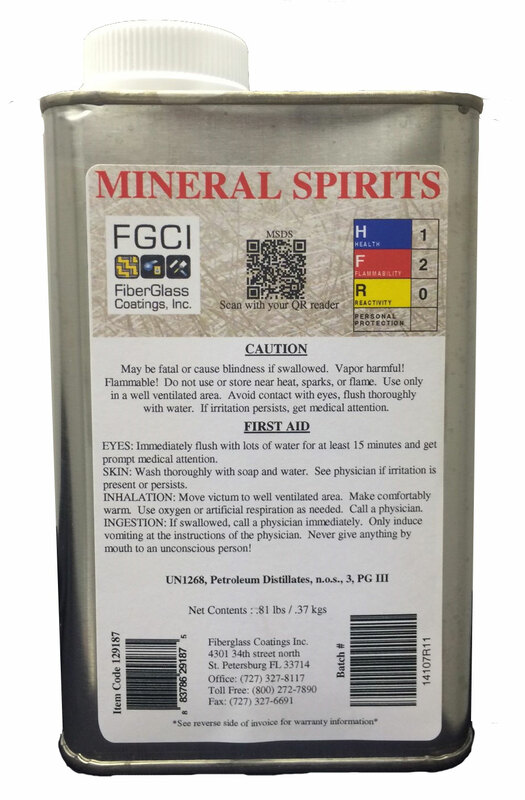 Mineral Spirits are a tried and true paint cleaner you will see used by anyone painting a polyurethane or enamel paint as it breaks down the paint very quickly. 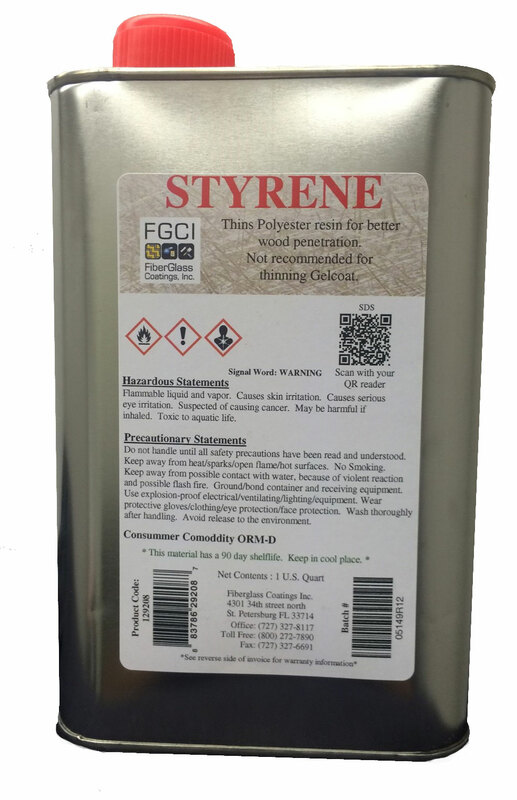 Styrene is a common solution found in resins and gelcoats, sometimes called ‘wax.’ Styrene is commonly used to thin down resin to allow it to seep into wood easier. We don’t recommend using it to thin gelcoat, however. Toluene is a great multi-use product as it’s great for cleaning epoxy, but it also works for cleaning paint as well. Toluene is mainly used for cleaning up silicone and it does a great job on 5200. T-12 is a very volatile solvent used mainly for cleaning epoxies. This solvent dries extremely quickly, but you will see it used frequently for cleaning brushes between uses. Xylene is used mainly as a thinner for enamels. It can also be used for cleanup for paints as well. The most important thing to remember with all of these solvents is that they all require proper protection. Gloves and some sort of clothing protection would be the least you can do. You may also consider respirators and eye protection as well. You also want to remember that all of this material is flammable, so be cautious and store it properly. 1. 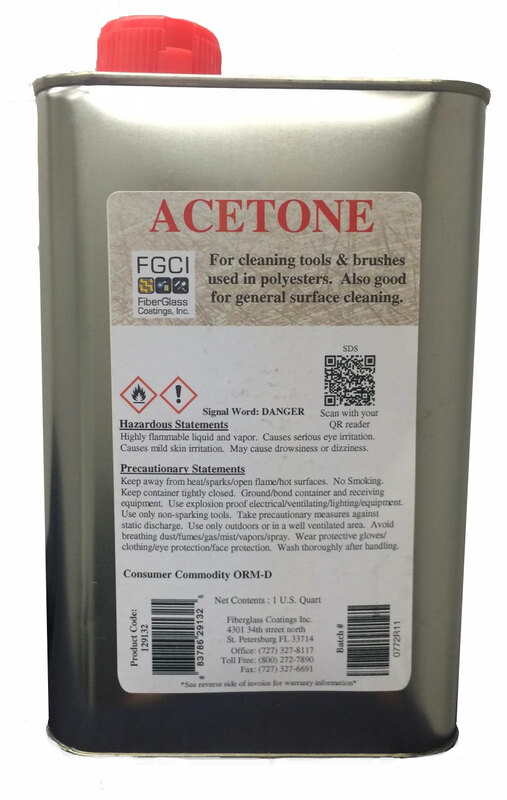 Acetone is good for cleaning polyesters, but not epoxies. 2. 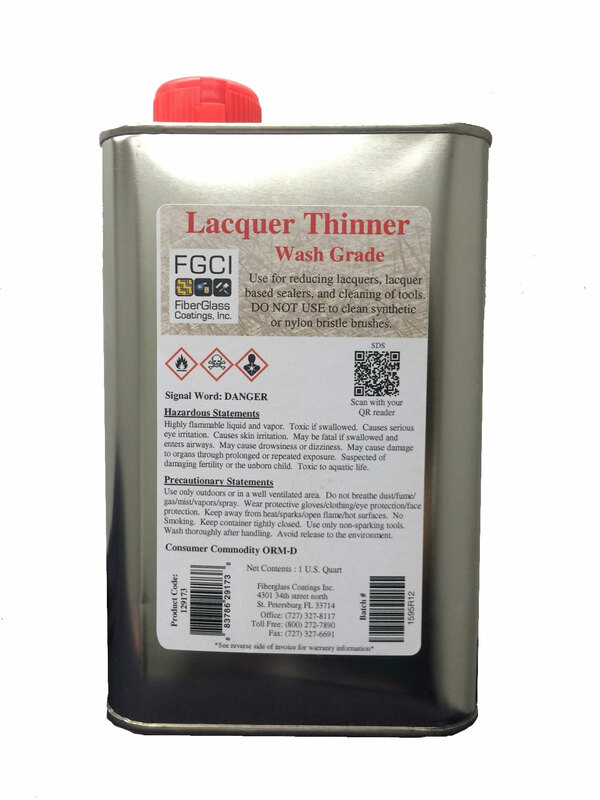 Lacquer Thinner tends to be a good solvent for cleaning surfaces to remove wax and oils. 3. 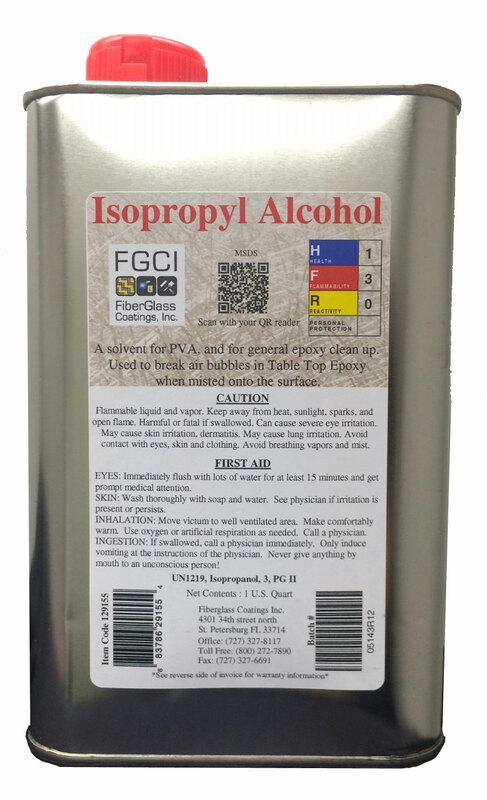 Isopropyl Alcohol 99% (water free) is a mild solvent that is recommended when using Epoxy Table Top Resin and cleaning new epoxy surfaces. 4. Mineral Spirits works well with paint and polyurethane enamel. 5. Styrene reduces polyester, iso and vinyl ester resins for better wood penetration.